The Menai Suspension Bridge is a suspension bridge to carry road traffic between the island of Anglesey and the mainland of Wales. 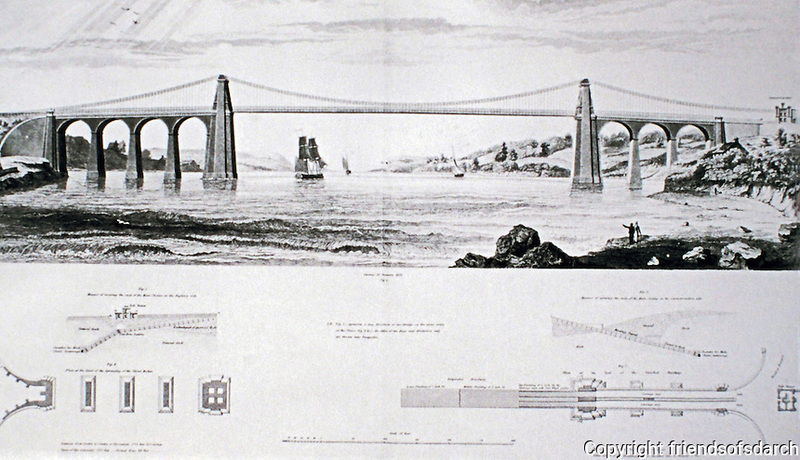 The bridge was designed by Thomas Telford and completed in 1826 Wrought iron and rock. Historic photograph with detailed drawing.